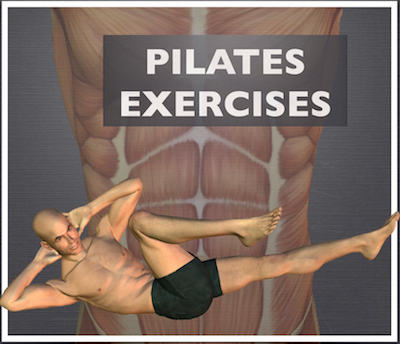 Back strengthening exercises: Illustrated with lifelike figures. For best results, train your back and your core together. 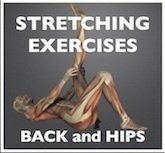 These back strengthening exercises challenge your back muscles plus all 4 abdominal muscle layers, your hip muscles and deep shoulder stabilizing muscles. With this routine, you’ll begin to develop the strength you need for good posture and muscular balance. 7 Exercise videos are included. The videos are about 1 minute each, and they'll show you how to make the exercises more challenging. Focus on the quality of your movement as you practice the moves, and you'll get the most out of this routine of back strengthening exercises. Try to create long, straight lines with your body. The more closely you can match the videos and illustrations below, the stronger you'll become. Scroll down for instructions. Thumbnails of the full routine are at the bottom of this page. If you'd like to go more in depth with this routine, I created a training program incorporating these exercises, starting with my Intro to Core Strengthening. 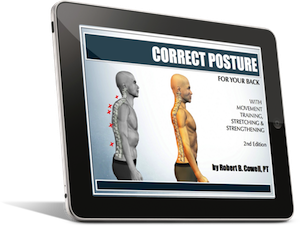 This illustrated eBook compares correct form with common training errors. It also has a workout schedule to give you a sense of real progress with the routine. Download here. Lie on your stomach with your arms at your sides. Reach the top of your head and your feet in opposite directions (as shown by the arrows below) until your upper body, knees and feet are off the floor. Next, reach your fingertips toward your heels, pulling your shoulder blades down away from your ears. Keep your arms as straight as possible and squeeze your shoulder blades together. Avoid resting your arms against your body when you squeeze your shoulder blades together. Make your arm and back muscles work! Look down so that the top of your head points forward. This will keep the back of your neck long. Hold this position 10-15 seconds, relax, then repeat 2-3 more times. When performed correctly, the dart has the best spine muscle activity of the back strengthening exercises in this article. *Note: This exercise has multiple steps. For more clarity, watch the video below. From the ‘Tabletop’ (#2) position, reach your fingertips to the ceiling, as high as you can. Then curl your upper body forward until your shoulders are off the floor. Lift your head in a natural curve along with the body--don’t press your chin to your chest. Reach your arms forward, past your thighs, as you curl up. See the 3rd picture below. Inhale and hold this position. Then exhale, holding the ‘crunch’ and reach your arms further forward. Now reverse directions. Inhale, reaching for the ceiling again, then gradually return to the start position. Repeat 4-8 times. How's the workout going so far? Do you feel like you are matching the straight lines and muscular control that you see in the videos and illustrations? Look at the 2 pictures of the forearm plank below. When you do this exercise, do you look more like the picture on the left or the one on the right? If you'd like further training, check out my Intro to Back and Core Strengthening. With this eBook, you'll be able to compare proper form with the most common training errors and see how you measure up. It also includes a training schedule so you can keep track of your progress. Click the download button below to get started. *Your routine continues with back strengthening exercises #6 & 7 below. When you're finished, please share this article with your friends so they can try the exercises too. The share button is on the left border of your screen. Also, please let me know how you liked the workout in the comments below. Hold your arms straight, then begin pulsing your arms down toward the floor (without touching the floor) and back up 2 times per second, holding still in the crunch position. The distance for the arm pulse is about 4-6 inches. Repeat for 30-50 total pulses to start. From hands and knees position, extend your left leg behind you. Straighten your knee and hold your leg straight out from your hip. Hold your trunk steady as if there were a cup of coffee balancing on your back. Next, hold your left leg up and reach your right arm forward, maintaining a steady trunk. Hold 3-4 seconds and reach as far as you are able with your left leg and your right arm. Lower your arm and leg and then switch to the opposite side. Repeat 5-6 times each side with a 3-4 second hold at the top. To increase the challenge for this exercise, touch your elbow to your opposite knee (without letting your leg touch the ground) each time before you stretch your arm and leg out. Great job! Thanks for sticking it out and finishing your routine with me today. Even in your first workout, you've already started waking up muscles that will help you support your back. Now that you have a good routine of back strengthening exercises to work with, the keys to building your strength are consistency and progression. When you practice consistently, your muscles will grow familiar with the exercises & you'll get more control over your movement. Then it's time to deliberately increase your effort. Go through the full movement, strive for perfect posture, hold the exercises longer and gradually do more repetitions. When your muscles are challenged, they will get stronger. It's great for me to see that this article has been helpful. I want you & all my readers to get the greatest benefits possible from the training. My eBook, Intro to Back & Core Strengthening, shows the exercise movements in greater detail, comparing correct form with common training errors. It also takes you through a training progression so that you give your muscles a greater challenge each week for strength development. Download here. Make these back strengthening exercises part of your overall workout routine, and you will retrain deep muscle layers to support your spine. Take this training to the next level with Progressive Core Strengthening, and you'll learn a whole new way to exercise! Step up the intensity from the back-core strengthening program. As the exercises become more challenging, using correct form becomes even more critical. The videos help you learn and develop greater control over your body movements. #1 Create a 30 minute workout. Try combining this routine with workouts listed in my free home exercise programs article. 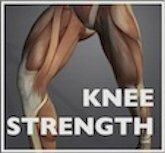 Resistance band exercises and body weight exercises are upper and lower body combo routines, and my knee strengthening exercises article focuses on the hip, thigh and leg muscles. Pair these routines with the back strengthening exercises above and you'll have a 25-30 minute workout. #2 Step up the intensity. 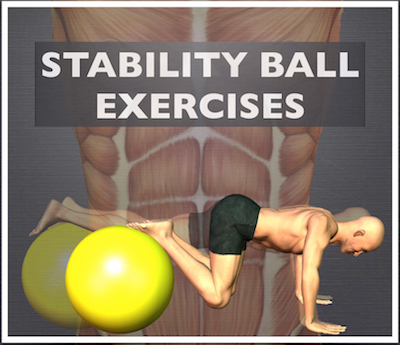 Once you can complete this workout with good form, try the next level core routines in my articles on stability ball exercises and pilates exercises. The 2 articles can be combined for a longer core routine. 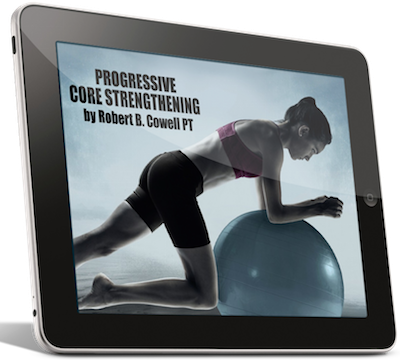 My eBook, Progressive Core Strengthening gives you a complete progression, along with advanced exercise routines. My 2 illustrations below are the most frequently pinned on Pinterest. If you are on Pinterest, follow me and keep up with what's new and interesting on whyiexercise.com. Return from back strengthening exercises to free home exercise programs. Return from back strengthening exercises to home page: Why I exercise.